Love is in the air this season! And there's no surer sign of it than Hollywood and its budding relationships. 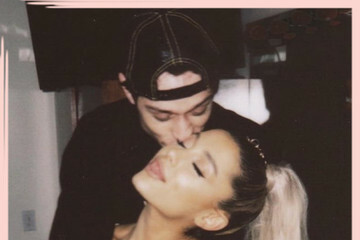 From Ariana Grande and Pete Davidson to Justin Bieber and Hailey Baldwin, sudden and surprising proposals have been popping up in the celeb scene. While we quietly cheer for these hopeless romantics, let's take a look back at the shortest courtships we've witnessed over the past few decades. Remember Tommy Lee and Pamela Anderson? You probably do, but perhaps not the fact they got married mere days after meeting. And it's not just the young and wild ones — George and Amal couldn't even wait a full year after being introduced to tie the knot. From the latest engagements to legendary sprints to the alter, take a look at who's lasted, who's called it quits, and who is just getting started.